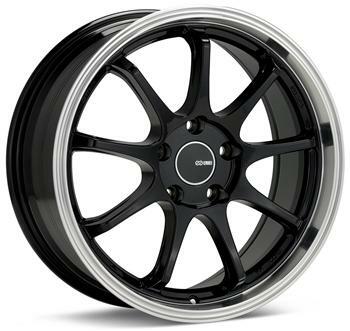 The Enkei Tenjin is the latest addition to the Enkei lightweight tuning line. In keeping with Enkei’s design philosophy, the Tenjin exhibits 9 spokes carefully designed to achieve ultra high rigidity while maintaining low weight, all the while remaining stylish. The Tenjin’s spokes go on to link an aggressive center area with a polished lip. The Tenjin’s design cues allow it to be at home on street just as much as on the race track thanks to its MAT technology, allowing for a much lighter and stronger wheel than one cast by traditional methods.